On May 19, 2015 a jury found Leo Paul Thibodeaux, Jr. guilty as charged of Second Degree Murder. 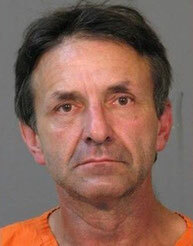 Thibodeaux was convicted of killing his 37-year-old girlfriend, Toni Frabbielle, on March 28, 2012. Frabielle died after suffering two shotgun wounds in a home they shared near DeQuincy. Thibodeaux was arrested after an extensive investigation by the Calcasieu Parish Sheriff’s Office and lead detective, Andree Daugereaux. Judge Guy Bradberry set sentencing for August 7, 2015 at 1:30 p.m. The case was prosecuted by Assistant District Attorney Rick Bryant with the help of Assistant District Attorney Hope Buford.